Q. 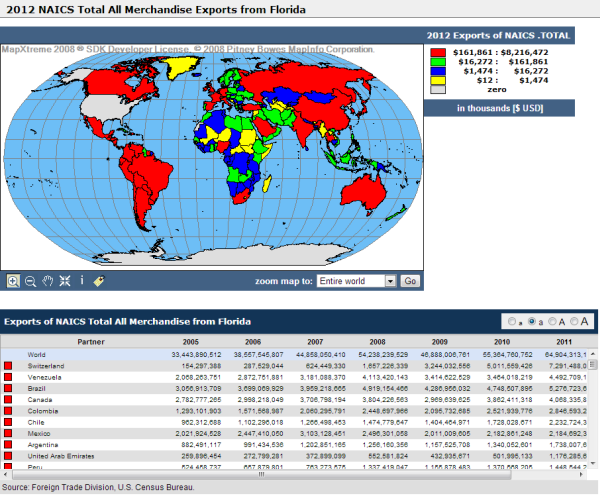 How do I find export and import statistics for the U.S. as well as individual states including value, product and trading partner? International Trade Administration. The latest annual and quarterly trade data. TSE provides micro-level trade data that can show you trade patterns for a specific product (i.e. Harmonized System Codes), a specific industry (i.e. NAICS codes), from a specific state (e.g. Texas), and to a specific market (e.g. New Zealand). Mapping and data export tools included.